Power range: 10 w to 40 w.
Max currency: 1.0 A to 7.0 A. Material: Contact wet part: PTFE, Viton. .
DP mini diaphragm pumps operate using two opposing floating discs with seats that respond to the diaphragm motion. 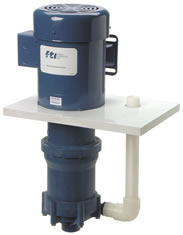 This process results in a quiet and reliable pumping action. 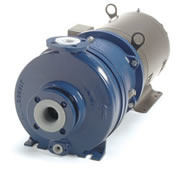 Higher efficiency of the pump is evident in the longer lifer of the motor pump unit. These DC motor diaphragm pumps have excellent self-priming capability and can be run dry without damage, Rated to 160 Deg. F (70 Deg. C). No metal parts come in contact with materials being pumped; diaphragms and check valves are available in Viton, Santoprene or Buna-N construction. So these mini diaphragm pumps are great chemically resistant. DP mini diaphragm pumps prime within seconds of turning the pump on; prime is maintained by two check valves (one on either side).Separated from the motor, the pump body contains no machinery parts, so pump can be in dry running condition for a short while. A built-in pressure switch insides the pump can automatically stop the pump, when the pressure reach a setting data. Self suction capability and dry running. Built-in pressure switch and over flow drain valve. Corrosive-resistant material, such as Viton, Santoprene or Buna-N and so on. Low noise, Quiet and reliable DC power operation. brushless motor voltage, DC 12V or 24V. High pressure, max to 130PSI. Medium temperature up to 70C.